Paul Taylor is a founding partner and Executive Creative Director at BrandOpus. With over 20 years’ experience, Paul has won multiple industry awards including 23 Design Effectiveness Awards demonstrating how creativity can deliver commercial results; with recent Golds for Twinings Signature range and Pipers Crisps. Paul has been a judge of the FAB Awards and has been invited back to chair. He has also been guest judge on awards including the CreativePool Annual and the Drinks Business Awards. 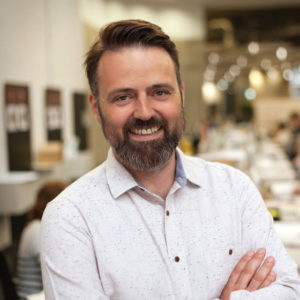 Paul is widely recognised for his thought leadership, and has been published in Metro, The Drum, Campaign, The Dieline and The Grocer. He has also taken to the main stage at events including Eurobest 2015, where his talk ‘Dead Lions, Medusa and the Goddess of Victory’ discussed the importance of making brands meaningful. Paul is keen to support the design industry, and as such helped to found the BrandOpus Chrysalis Student Awards- a student awards scheme taking a client-based real-life type brief and working with the students to develop their work, giving them an insight into the agency creative process.